Willow Way has been fully renovated with a new kitchen, 2 new bathrooms and an open plan sunny living space opening out onto a large new deck which gets all day sun. 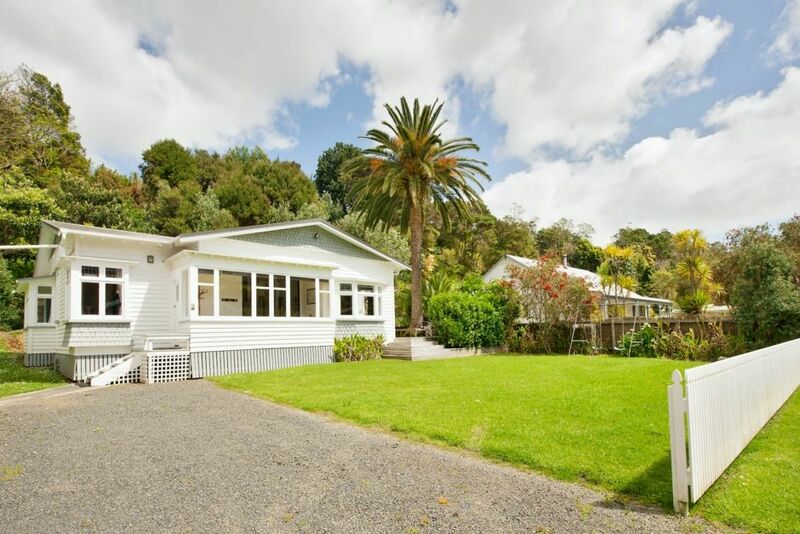 Although modernised it still retains its character and charm with its polished kauri floors and orignial features and of course it's awesome location, a stone's throw from Russell, with its restaurants and shops. Willow Way is a beautiful house, an easy flat walk into Russell and beaches. It is set on a large section with room for two cars and two boats, great for the kids and still room to run around. The house has polished kauri floors throughout, modern facilities and an expansive deck to enjoy the sunshine and watch the world go by. A great place for adults and kids alike to relax and have fun. Flat section to accommodate boats and cars - close to several boat ramps, 2 minutes to the boat club at Matauwhi Bay. Short drive to the beautiful family friendly beach at Long Bay. Please note if you have young children the property is not fully fenced. I didn’t realise that Willow Way was very close to the main road entry to Russelll, and was therefore quite noisy. Great location, handy 5 minute walk to main shops, quiet area, lovely modern house inside. Great location, handy 5 minute walk to main shops, quiet area, lovely modern house inside. Thoroughly enjoyed our stay at Willow Way. Great location with only a short stroll to town. Great location with only a short stroll to town. House was perfect for 2 families and was well equipped. Great outside space too. Can't wait to come back ... one day.